This icon shows Mary handing the Baby Jesus to Simeon, while in the background Joseph holds the two turtle doves for the sacrifice. When he was eight days’ old Mary and Joseph took the baby Jesus to the temple to meet the requirements of the Law of Moses. They brought with them two turtle doves as a sacrifice, as the law required. Simeon held the baby Jesus in his arms and uttered the much-loved words we know today as the Nunc Dimittis. At St Matthew’s it is sung each month at Choral Evensong and is sometimes said or sung at funerals. The first Diocesan Hui is to be held on Saturday, 8 March 2014, 10 am to 2 pm, at Wellington Cathedral. Every person in the Parish is invited to come along on Saturday 8 March 2014 and take part in our Diocesan Hui. We’ll be talking about our three main themes for 2014: Discipleship, Biculturalism and Child Poverty. Wairarapa parishes are hoping to hire a train for the trip. We’ll keep you posted on further details. Lent begins on Ash Wednesday, 5 March. 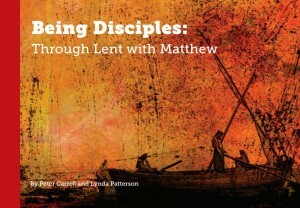 Lent is a time to pray, reflect and learn. Weekly corporate prayer times will be held during Lent and reflective services during Holy Week. Are you looking for something that will deepen your understanding of discipleship, something that will help you follow Jesus more closely? 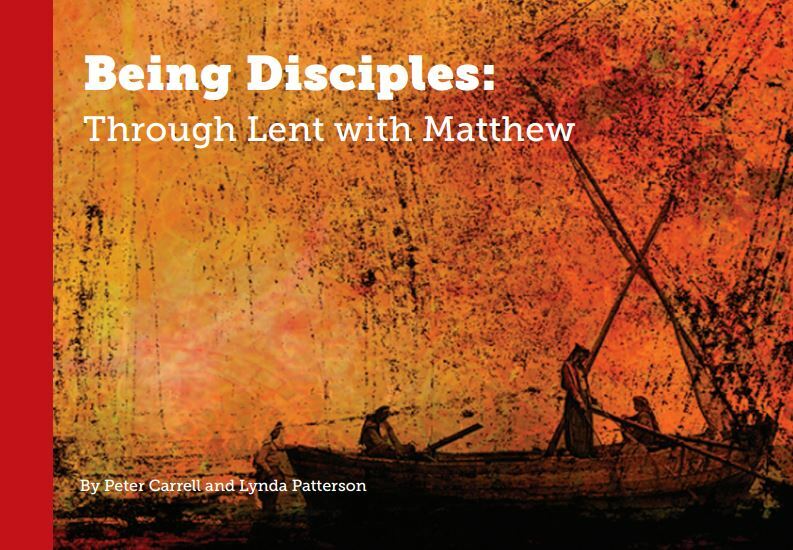 Being Disciples: Through Lent with Matthew is a six-part study series written by Peter Carrell (Director of Theology House in Christchurch) and Lynda Patterson (Dean of ChristChurch Cathedral). Study groups – and other Lenten activities – will be advised shortly. The study will begin after Ash Wednesday, 5 March 2014. Combine with others to give them some Kiwiana. Pick-up from Masterton train is at 11.30 am. Return train leaves Masterton at 4.50 pm. Sponsors needed for the train fares: – adult $22, children $11. What can we do as a Parish? Need to know numbers by Monday, 3 February. See Steve. 10 am Isora restarts 16 February then every Sunday in term time during 10am service.